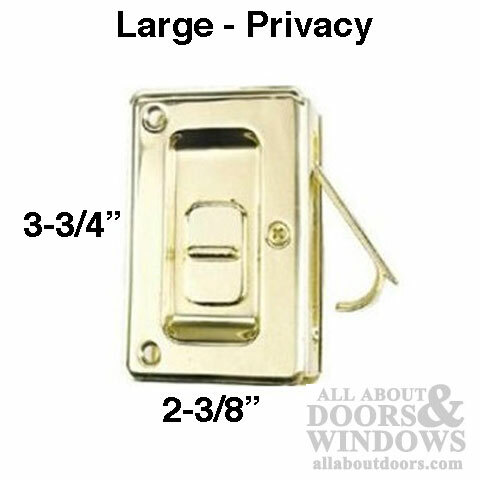 Stanley HEAVY DUTY DELUXE Adjustable Privacy Lock for Pocket door, non-handed. For doors Panels up to 250 pounds. 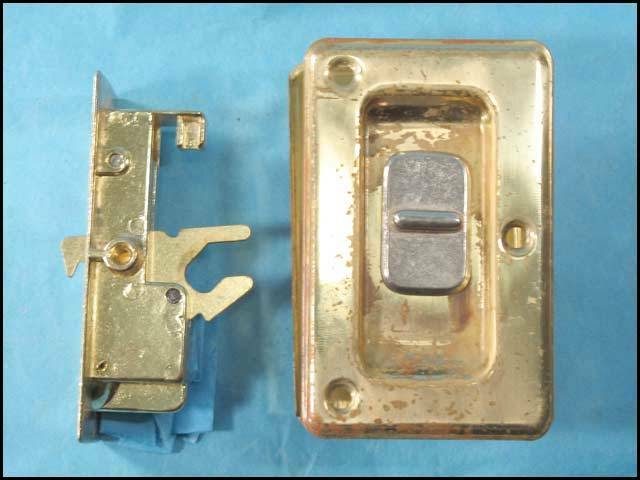 Zinc diecast finger pull with large, solid brass faceplate. Slide mechanism that locks and unlocks the latch at the touch of a finger. 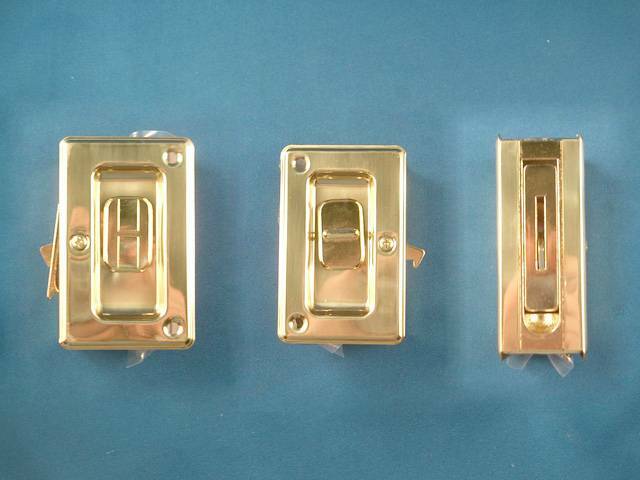 Coined edges and screw hole pattern design eliminate bowing of faceplate. Large curved zinc die cast finger pull for easy operation.